Old Sea Mud Powder is a safe and natural product which enhances water quality, replenishes and enhances minerals and trace elements in your tank water that has been depleted, either by your local utilities, water changes or by excessive filteration, and remove certain harmful substance like decomposed organic carbon, amines and glysxerols from your water, itis also capable of removing heavy metals, free radicals and pesticides in the water. 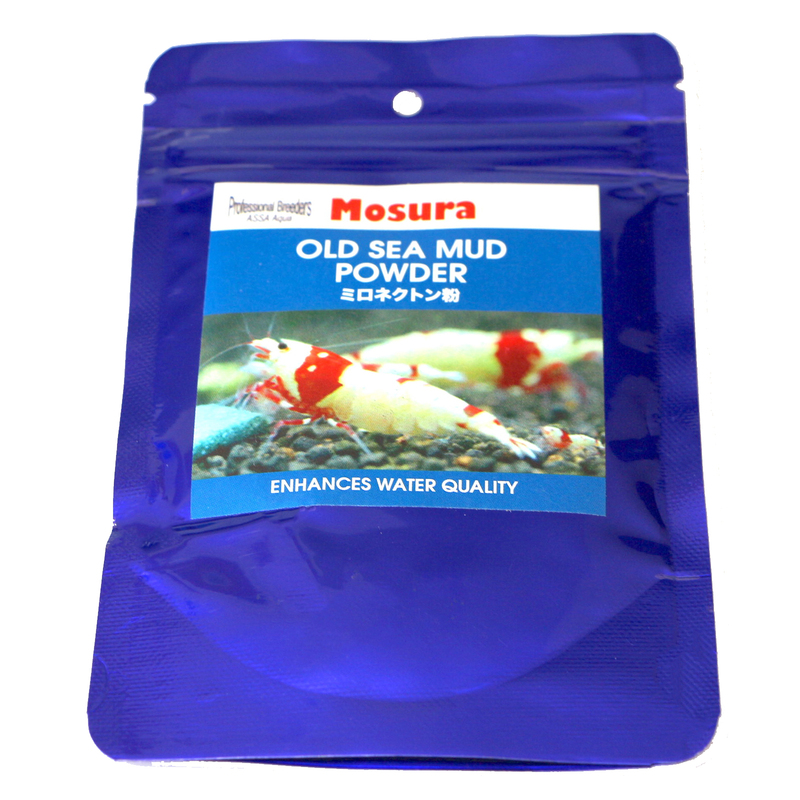 Use of Old Sea Mud is very popular in Japan, and almost all pro shrimp keepers use them. 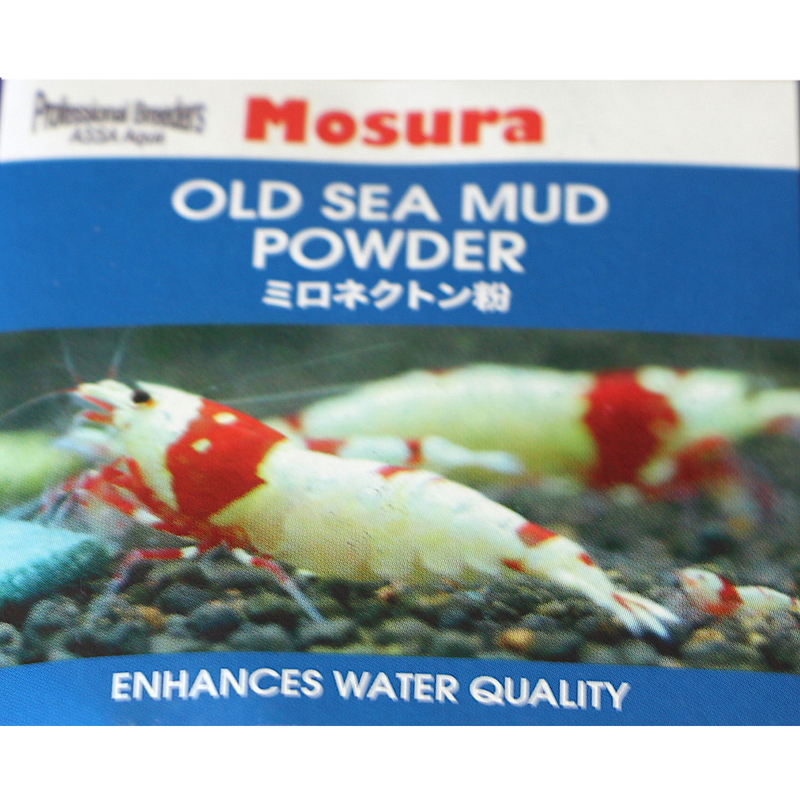 We select high quality mineral rock to be used in our breeding tank and that explains why Mosura Old Sea Mud Powder contains very high portion of trace element, that is close to 3% by weight and close to 70 different trace minerals and compounds have been identified, making it very suitable to remineralize your tank. 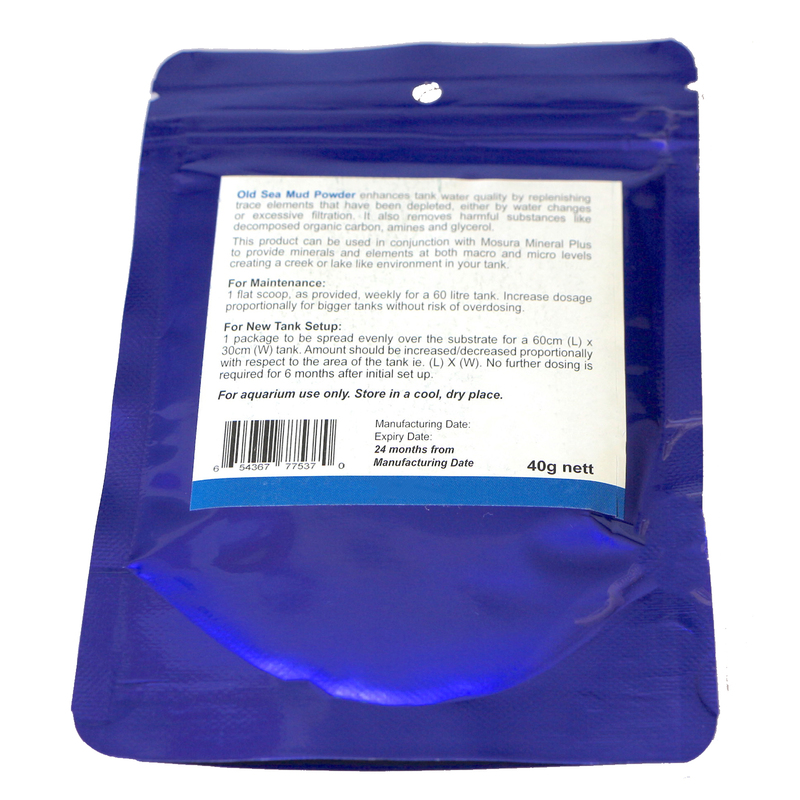 This product is used in our new tank setups as the lowest level of the gravel or regular adminstrations into water column. 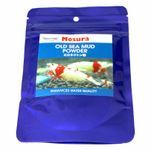 Mosura Old Sea Mud Powder is capable of polishing the water by attracting impurities in the water, your aquarium water get clearer after Mosura Old Sea Mud Powder is used in water column. For first time usage, the tank may take longer time to clear up, however, for subsequent usages, clear up time should reduce as an indication of improving water quality. 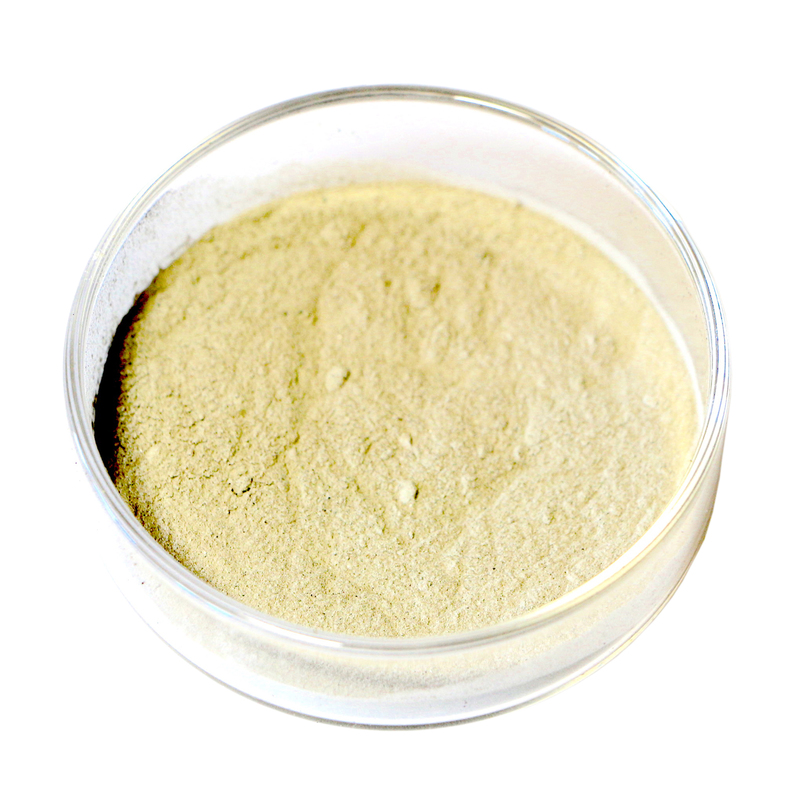 This product can not only improve the well mean of fauna and also improve the growth rate of of flora because of the concentration of trace elements in it. Improving water quality by removing toxic such heavy metal and free radicals. Re-mineralization of tank water for shrimp, fish and planted tanks.